What can you do if you have so many AVI videos on your PC that you'll like to convert them for maximum compatibility with the Windows-based programs or software? It's the best for you to convert them to the WMV file format, which is natively supported by the Windows operating system. You'll find a detailed tutorial on how to convert your AVI files to an WMV file format with just a few clicks right over here. Convert AVI to WMV, FLV, MOV, MP4, and other over 1000 formats. Download and install the trial version onto your PC. After that, double-click on it to launch the video converter. This video converter provides ultra-fast conversion speed and with a broad format support, you can even convert to other file formats that you want. Step 1 Add AVI files onto the converter. 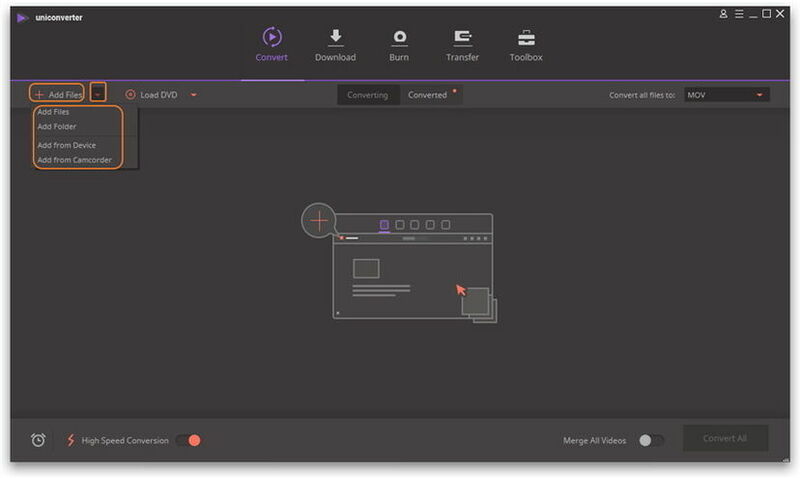 Click on the button and upload the AVI videos you'll like to convert with the converter. You can actually import several AVI files at the same time because it's equipped for batch processing. That'll save you time for something else on your to-do list. 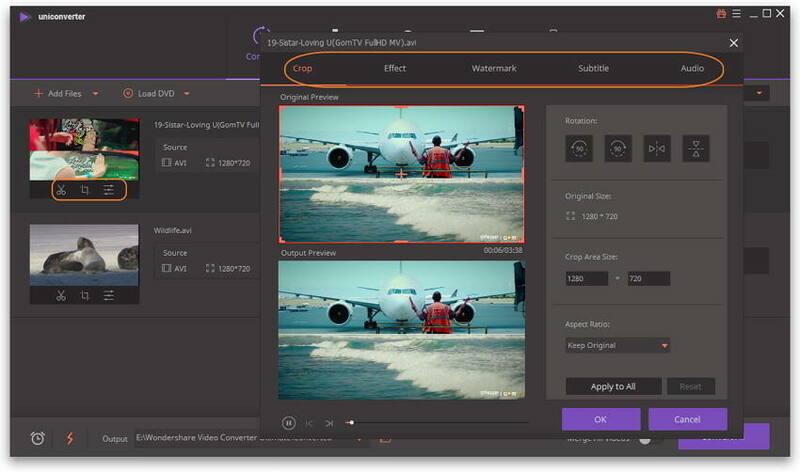 In addition to batch processing with lossless quality in conversion, you can customize your videos if you wish by just clicking the editing icons under the video thumbnail. Then, you'll get a separare editing window, where changes can be preview real-time. Note the editing is also possible to be reset and worked all over again. Step 3 Choose WMV as the output format. Proceed to select WMV as your output format or choose the output format based on your playback preference (i.e.based on choice of portable device). If you wish to adjust the format settings, click on + Creat Custom in the bottom of the format list. Step 4 Convert AVI to WMV on Windows 10. After finishing all settings, you can click Convert All at the bottom to start AVI to WMV conversion. With this AVI to WMV converter, you can also convert WMV to AVI easily. 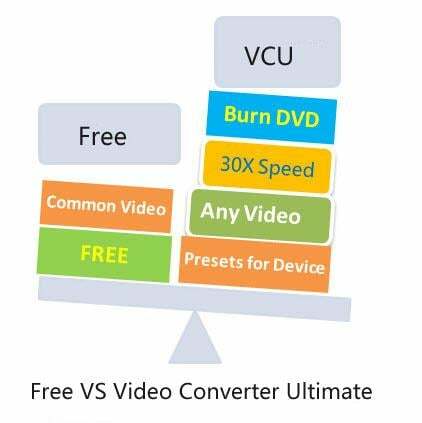 Other than creating, customizing and burning your own DVDs , you can easily edit and convert your video files with the free video converter. It is also possible to download videos from the online site YouTube. Pro: Cost Nothing = Free! 1. Only converts videos with watermark. 2. Without the ultra-fast conversion speed. 3. Limited to retrieve metadata for only 5 video files. If you have AVI files that you want to convert without having to go through the process of purchasing, downloading and installing converter software, you may opt to use an online converter. Online converters are often used by people who do not convert multimedia files on a regular basis. Online converter is a web converter tool that you can use to convert your AVI files to WMV. 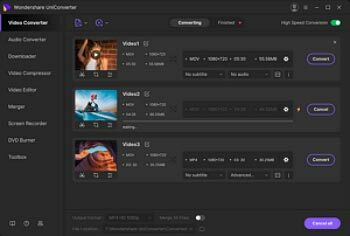 Use it to convert your videos in 3 quick steps. First, click Choose Files button to upload your AVI files. Once uploaded, click Convert to continue. The converter will redirect you to a web page showing the conversion result. Your converted file is now ready for download. Note: It is worth mentioning that Online Converter can be slow and buggy at times. You are also limited to converting files with a max size of 200MB. AVI is a multimedia container that contains both audio and video data. It allows synchronous audio-with-video playback. AVI files support multiple streaming audio and video WMV is a native file format introducted by Microsoft. It's naturally supported and made compatible with all of the Windows-operating or based system, program and software.